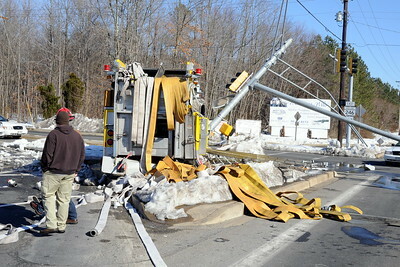 2/15/10 - Firefighters in Bay District MD were responding for a confirmed working fire when the driver lost control of the engine and crashed into a utility pole. Three firefighters were transported to the hospital with minor injuries. Listen to the audio here and read the full story here.